Skills and abilities: As a king of Wakanda he was trained from birth in a multitude of martial arts and combat styles both armed and unarmed. Originally appearing in the Fantastic Four Unlimited series where he was the father of T’chaka. 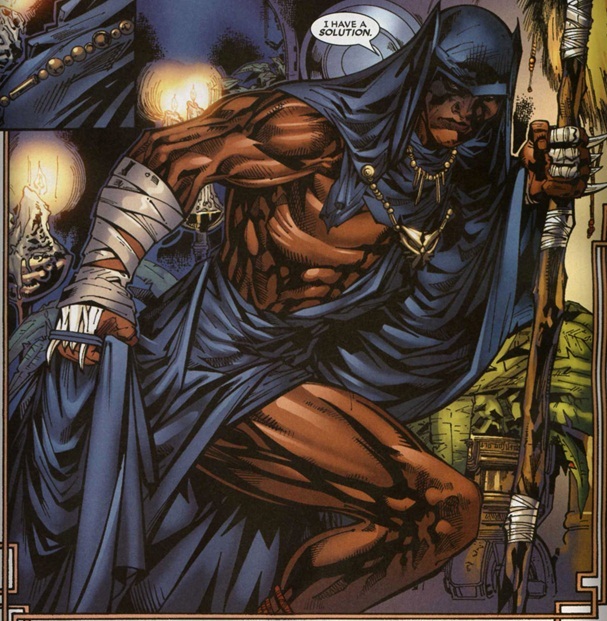 this would be his only appearance and reference for fifteen years when Reginald Hudlin re-imagined him for the first black Panther annual released in 2008. The Black Panther and ruler of Wakanda during the rise of slavery he chose a non involvement stance on stopping the slave trade because Wakanda would have lost its soul and been corrupted by going to war with the world.